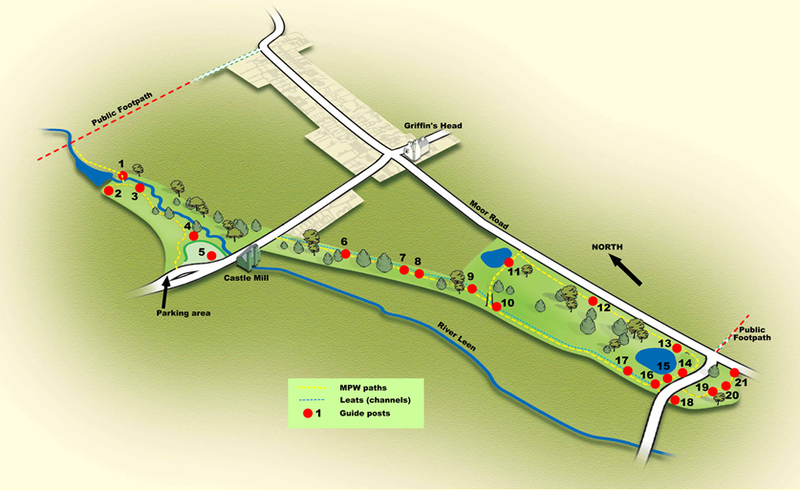 Around the site, you will find numbered posts at the locations shown on the map below. These mark the points in our audio-trail, a series of mp3 podcasts. You can download the recordings from the links below, and listen to them as you walk around the trail. Alternatively, you may wish to download the script on paper, so you can read it as you walk round the trail. This map can be downloaded as a .pdf file here. The script for the audio trail can be download on paper (as a .pdf) here. If you fancy a walk around the wood, why not download our Hidden Valleys Walks Leaflet or one of our podcasts, which will guide you from point to point around Moor Pond Wood.